Have you ever tried homemade goat's milk soap? The kind made from scratch? You may want to treat yourself to some soon. is available on Etsy while it lasts. 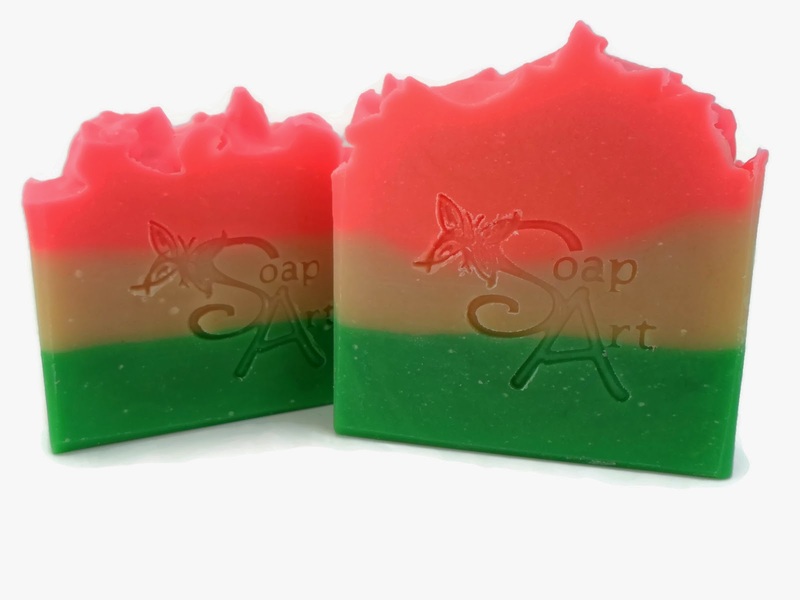 Makes this soap luxurious and creamy. Tells me it smells just like the real thing. Spent at her Grandfather's cabin. Along with the cherry blossoms. Arctic air is over much of the United States this week. But they will get your hands clean. This cold weather won't last forever. Daylight hours are on the rise. Are perfect for a single use. But they will last through several washes. They are just asking to be invited to weddings. In the guest wash rooms. In the VP guest motel rooms. Custom Made to match the wedding colors. 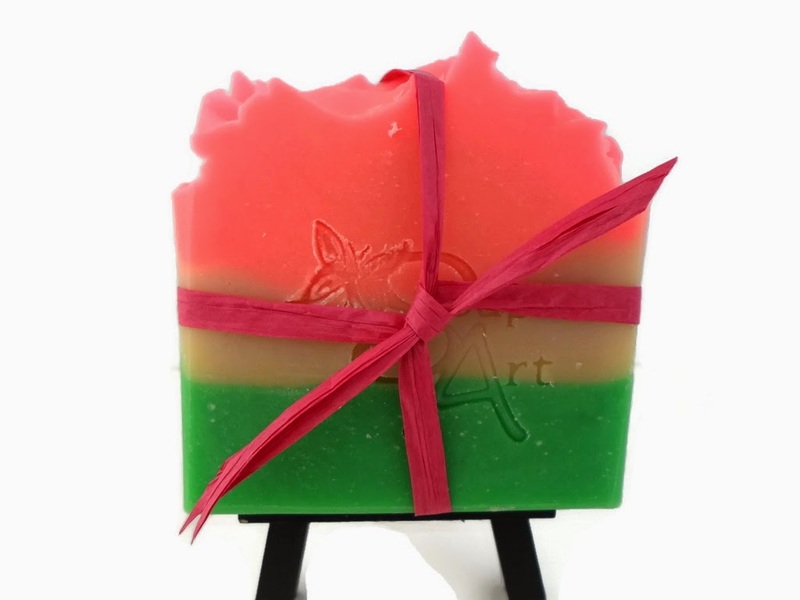 Here's an example of the soaps packaged and ready to give. They are perfect for the guest bath at home as well. They can sit in a cute bowl or basket. Just waiting for someone to use them. People can take one as needed. 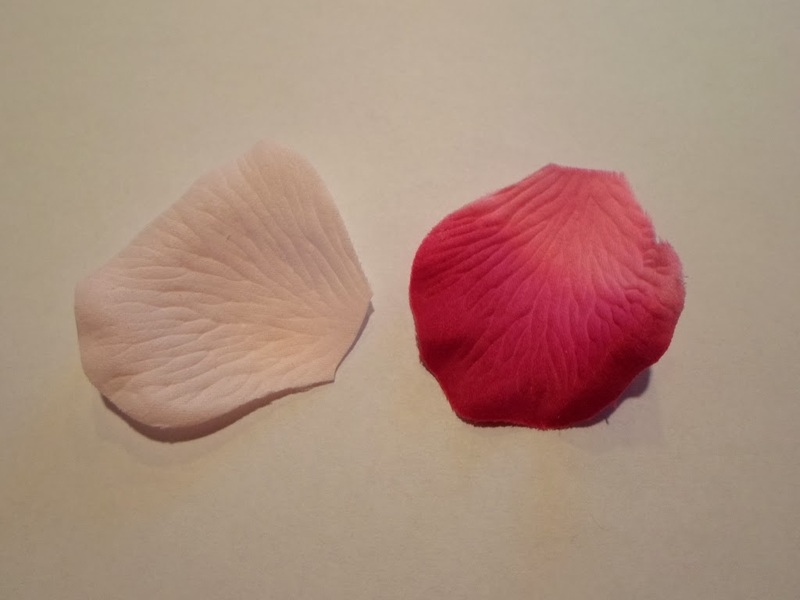 The petal can be discarded after one use. Or it can be saved and used several more times. The result is an elegant soap. Just put in your hands under warm running water. Discard or save for additional uses. 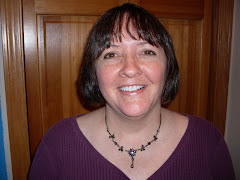 It's great to be back after a blogging break. Say hello to my newest favorite breakfast! It's based on this Apple 'N' Oat Cobbler recipe by Joy Bauer. I made a few modifications, and came up with this similar recipe. Combine oats and milk in microwavable dish. I like to use a Pampered Chef 1 quart microwave pan. Make sure the dish is loosely covered. I covered mine tightly once. I ended up with half cooked oatmeal all over my microwave. Microwave for 1 minute, 40 seconds. While that is cooking, it's a great time to chop your apple. But mostly because I like it. Remove the oatmeal from the microwave. Steam burns are no fun. Add the Splenda and stir. It will be pretty runny at this point. Add most of the apple. Reserve about 1/4 of the apple for the top. Put the dish back into the microwave. Again, cover the dish loosely. Since microwaves vary, you may need to tweak the time. Toss the rest of the apple on top. Wait for it to cool a bit. But I eat mine straight from the pan. I love harvest time in Iowa. Bringing in the much awaited harvest. These tractor soaps work hard, too. They lather and clean well. And there are no detergents in them. They are made of glycerin soap. The fragrance of Fresh Mowed Grass. Maybe you know a farmer who drives one of these. This was inspired by John Deere tractors. It was inspired by the Case IH tractor. The red needs to be a bit deeper to be more true to life. This one was sure fun to make! It was inspired by a blue Ford tractor. I hadn't heard of the Allis-Chalmers tractor until recently. 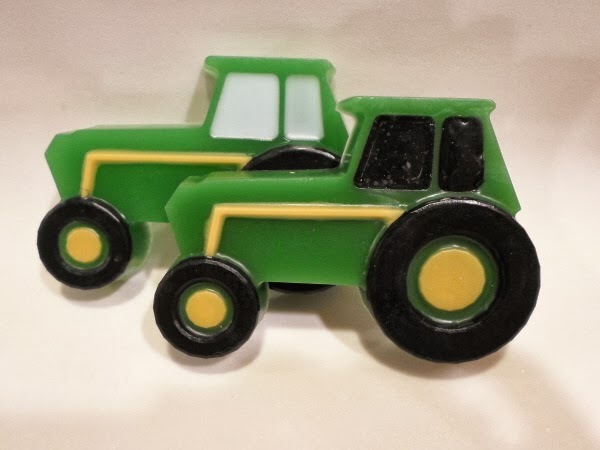 A customer requested this Allis-Chalmers inspired soap. For working hard to feed America. 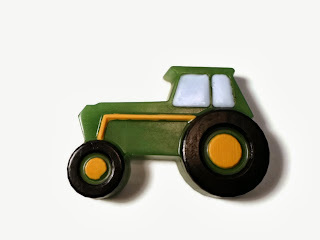 Tractor soaps are for sale in my Etsy shop. They are also for sale on SoapArtOnline.